Chaunine Landau created a darling painting of trees at night. 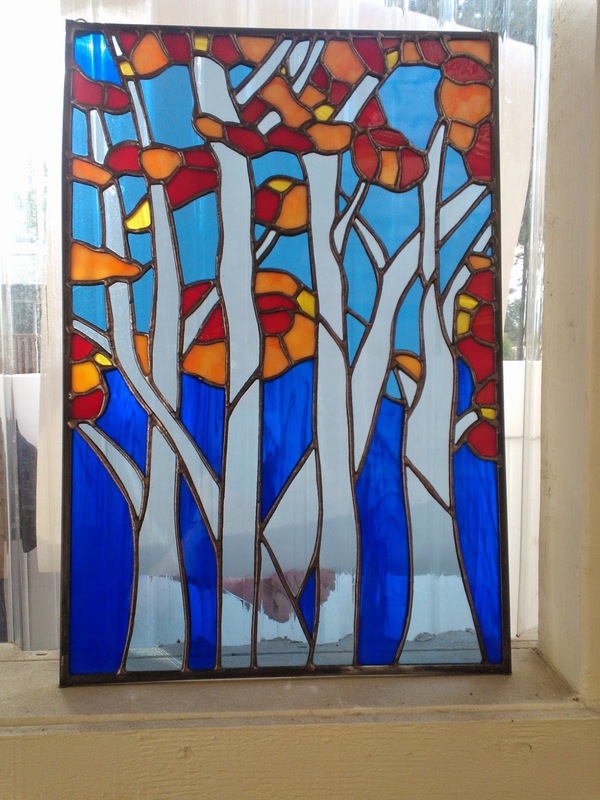 Together we decided that it would make a lovely stained glass window. So... Why not? Our computer was down so I drew the pattern while looking at her painting on facebook. Old school drawing by hand. 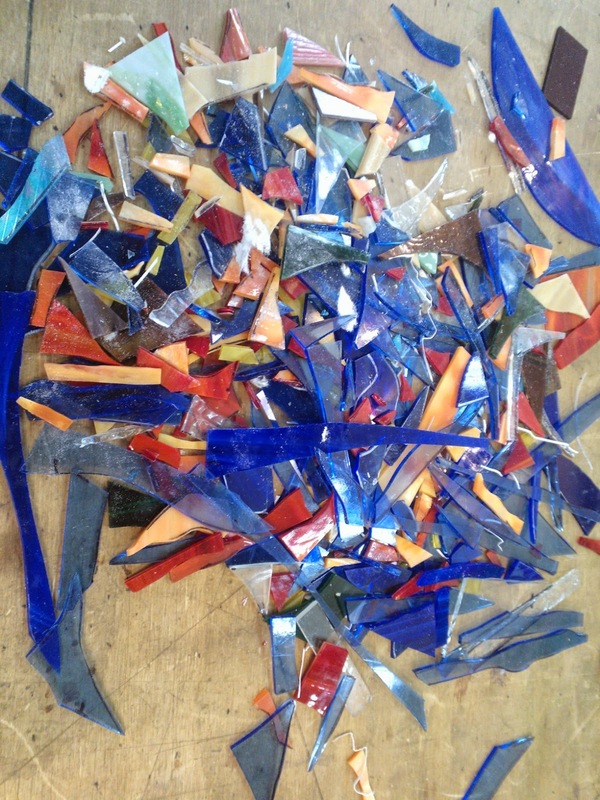 After cutting all the pieces out I was left with a great pile of scrap glass. 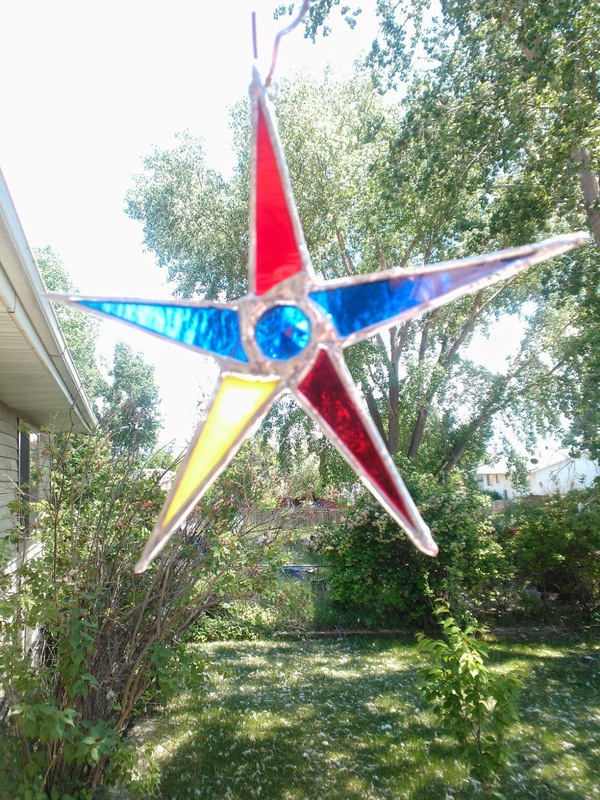 A few of the bigger pieces became "Nova" stars to be sold at the farmer's market. (waist not, want not). The final window had Chaunine's stamp of approval.